The latest offering by Illamasqua is the spooky limited edition nail polish in Swarm (A$22/15ml), which is part of the Illamasqua Halloween Collection - the first ever Halloween Collection launched by Illamasqua! Swarm is described as a matte black speckled glitter with a clear jelly base. 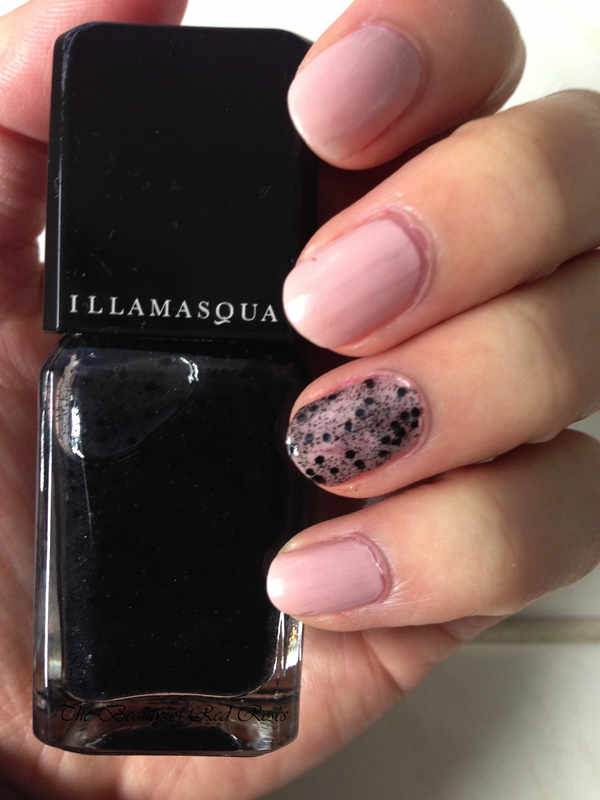 Swarm is quite similar to those speckled nail polishes that were a part of the Illamasqua I'm Perfection Collection. In the swatches below, I applied 1 generous coat of Swarm over Sally Hansen's Gray-t Escape (reviewed here). I love the mysterious look of Swarm as you could work this effect with any coloured base. Have you painted your nails in prep for Halloween? Product was provided for consideration only. This review is 100% based on my own thoughts and opinions. I am not affiliated with Illamasqua and did not receive remuneration to post this product review. Ooo this is really interesting! I am hoping to do a Halloween look tonight! Nice! Looking forward to seeing your Halloween nails!